Guitarists love talking about equipment. Strings, pickups, pedals, amps and all the stuff that make guitar so much fun (and expensive!) to play. But what would you say is the most important and valuable piece of equipment you own? Your guitar? Your amp? If your technique is one half of the equation then your ear is the other half. One without the other is pretty useless. If you can hear what you want to play in your head and have the technique to physically play it, playing guitar becomes pretty simple! Here's a short video explaining an effective way to engage your inner ear and link it to your fingers. It's a 'first steps' exercise in ear training and if you wish to fully develop your sense of pitch then you're best getting a good teacher. 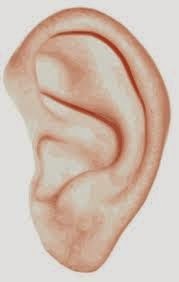 Any musician is only as good as their ear. Here's a short recap of the exercise. Play a starting pitch on any string. Sing that note. Now randomly choose another note up or down either a tone or a semitone. Try and sing that note before you play it and then check it against the pitch you played. Repeat until you always get it right!